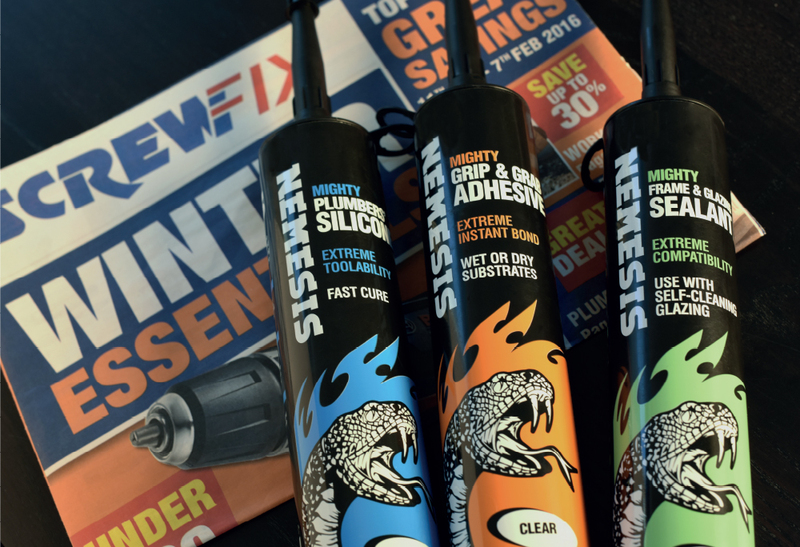 Screwfix briefed us to create the packaging for their premium new range of Nemesis fillers and silicones. 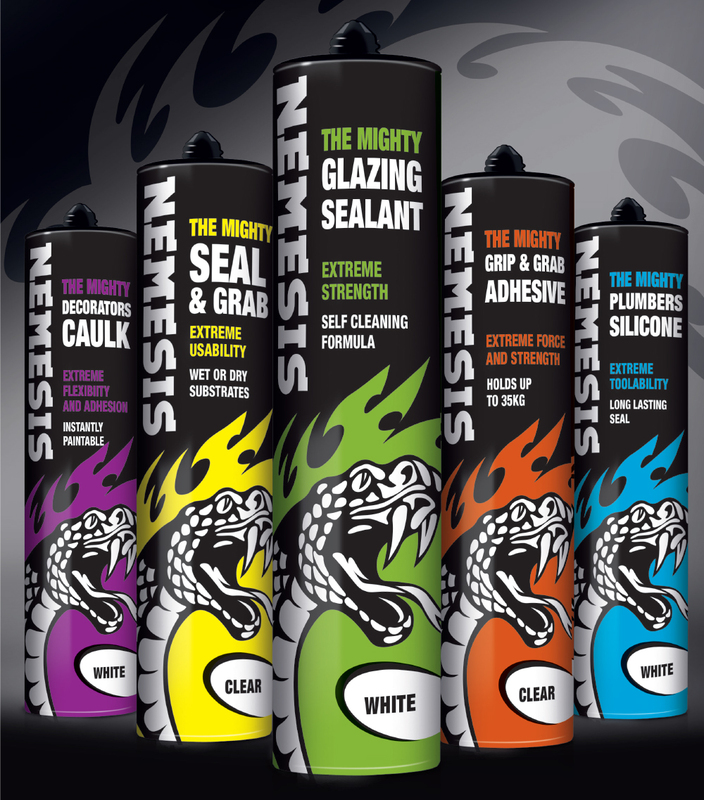 As the new products would be displayed alongside large ranges of competitors (intent on out-claiming each other! 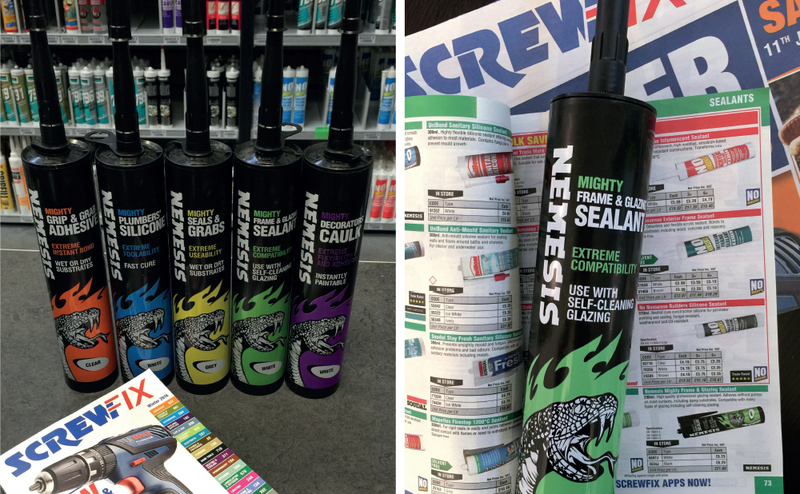 ), we had to create something that looked completely different and had standout in the Screwfix catalogue. easy. 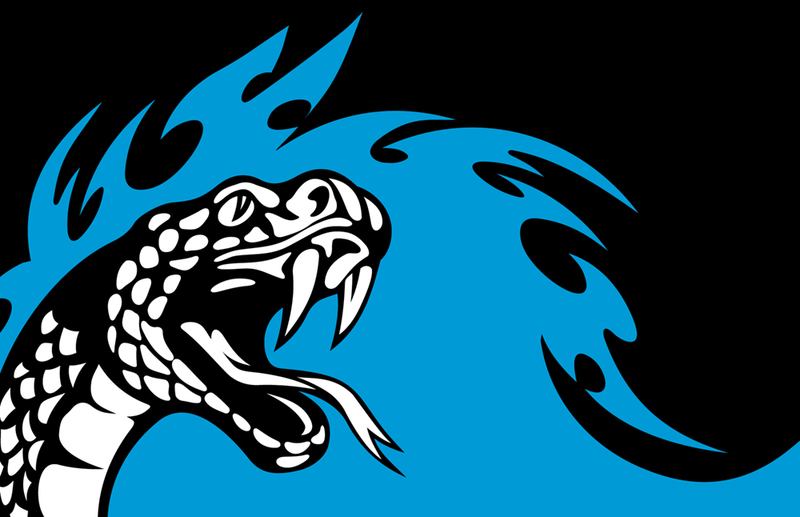 The black background and serpent graphic gives strength and performance cues – key to success in this category.